is essential to the future of business. Yet regrettably, it is largely underutilized. 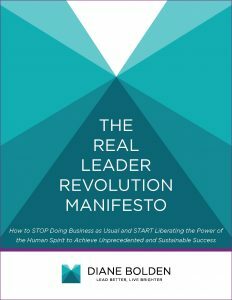 Join the Real Leader Revolution and turn that around. 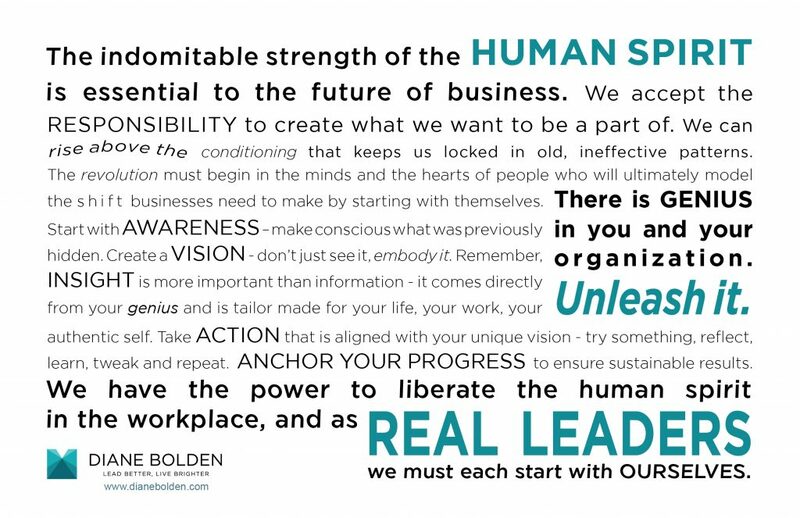 The time has come to truly liberate the power of the human spirit in the workplace. ultimately model the shift businesses need to make by starting with themselves. Your information will be used to send you this white paper and subscribe you to receive ongoing tips, articles and updates via email. We will only send you relevant information and never sell your information to any third parties. You can, of course, unsubscribe at any time. For daily inspiration download/print your personal copy of the below visual – and remember that you have the power to impact widescale change from wherever you are. best self on the job and beyond.